Back in 2010, when Chef Pooja Dhingra decided to foray into food business with an exquisite range of macaroons and a host of exciting French desserts, Mumbai welcomed her with open arms. 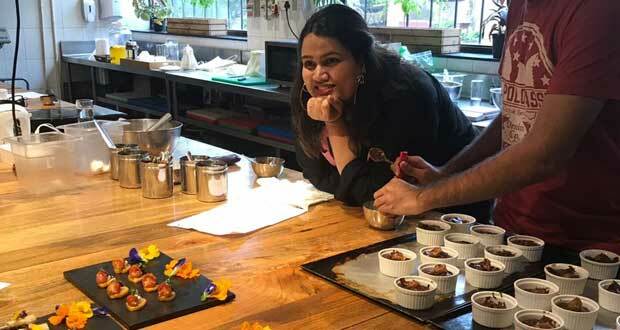 Chef Pooja Dhingra's clientele today is a mix of college going youth, bollywood celebrities, and corporates. Le15 Patisserie is unarguably one of the most sought after baking studios in the country, and she is driven to make it bigger and better. 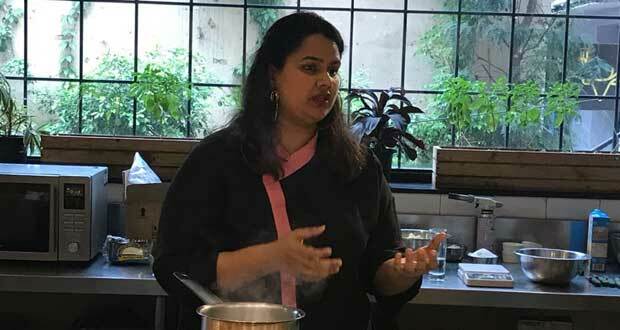 NDTV Food caught up with Chef Pooja Dhingra recently at CAARA, Delhi when she was in town for a hands-on baking workshop organised by Airbnb. 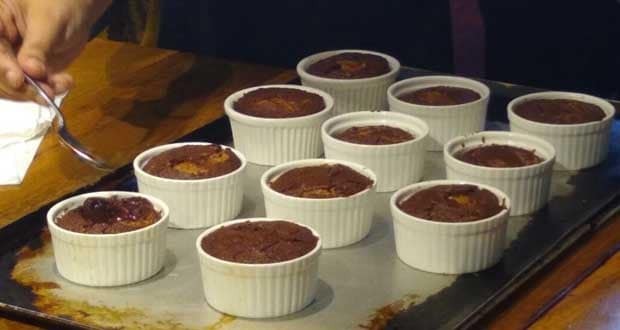 As an 'experience host' for Airbnb Experiences, she baked a delicious chocolate fondant with salted caramel centre and shared some fool-proof baking hacks too. This was accompanied with free-flowing chatter about the journey into pastry making, her childhood love affair with baking and plans further. Here are some snippets from NDTV Food's interaction with Chef Pooja Dhingra that followed soon after. In a space dominated by men, Pooja has not only earned fame as a successful chef but also became one of India's most prominent young women entrepreneurs. She is the author of The Big Book of Treats, and would soon be 'heard' in 'No Sugar Coat', her web podcast with friends and peers. She dons multiple hats with such finesse, as if she was born to be in the world of sugar, cakes and chocolate- so at what point did she decide to be a pastry chef? "I think for me I didn't realise till I was about eighteen. I always loved baking, I started when I was six. I baked brownies for my mom and my aunts. I kind of just loved how you can take simple ingredients and transform them. I always found it magical. But it was only when I turned eighteen did I realise that I want to do this for the rest of my life." And why did she choose to call her baking studio, Le15 Patisserie? "15 was the street's name where I lived in Paris". For the uninitiated, Pooja has learnt the art of pastry making from the renowned Le Cordon Bleu culinary school in Paris. Le15 Patisserie was her attempt to bring back all that she has learned and imbibed in her years in Paris. A nostalgic reminder of "home away from home", she revealed to us. Being the founder of one of Mumbai's most popular dessert places, Pooja believes there are a number of things that have worked in favour of Le15 Patisserie's popularity, "Le 15 Patisserie is a bunch of things combined. We not only focus on product which of course I am really proud of, but also on training and holistic learning." The baking studio is a team of many budding and veteran pastry chefs who work tirelessly to bring out their best, perfectly styled desserts for the customers and that is what has contributed immensely in the popularity of the franchise. They also experiment with their menu a lot. While the classic best-sellers are untouched, the new additions are given few weeks, "we have proper database in place to see how they are faring with customers and decisions on retaining them are taken accordingly," she revealed. On her plans of expansion, she tells us that they are currently working on developing a pan-India online delivery system. You can order on their site from multiple corners of India and you'd have Le15 Patisserie's macaroons at your doorstep in 24 hours. But when can Delhi expect it's own Le15 Patisserie? She said that a physical store in Delhi, may take a little longer. Her team needs time to figure out logistics in terms of capital and various other aspects, so Delhi would have to wait for now! There is no denying the fact that it is becoming tougher for beginners to break into the market. What would she suggest to those who want to take their love for cooking on a professional level? She says for beginners it is very important to find a niche,"something that is your own, and sets you apart. The market is very tough and fiercely competitive, but it is also an exciting time to be here, since it is filled with opportunities. If you have to give people something that they would like to come back to, you have nothing to fear". There was nobody who was doing macaroons when Le15 Patisserie started out, today Pooja Dhingra is popularly known as the 'macaroon queen' of India. Speaking of popularity, social media has played a significant role in making her one of the most well-known chefs of the country today. Ask her how she looks at her following and she will tell you that it is all pretty organic and comes very naturally to her, like any average young person in the world is today. "I just enjoy posting pictures of yummy cakes". She says people today are applying all sorts of algorithms to understand the social media and its role, but for her it has just been the medium to share pictures of beautiful cakes and reach out to fellow foodies and 'share her life' on social media. Pooja told us that for her baking has been a therapeutic exercise. She has been baking since she was a little girl, so where does she draw her inspiration from? "I seek my biggest inspiration in travel". Pooja travels extensively and loves mingling foreign cooking styles with hers. She brought in the New York's penchant for cheesecake in her cheese cake macaroons, which also happen to be one of the most loved macaroons of Le15 patisserie. From Japan, she brought back her liking for Macha and implemented the same in some dishes of her menu. She keeps herself up to date with many international pastry chefs too. "I particularly love Pierre Hermes. He is called the Picasso of pastry. It is my dream to meet him once in life." Being in the business for close to a decade, when we asked Pooja to pick the biggest challenge of making desserts, she said, "The toughest challenge is to not eat them". Pooja also told us earlier in the day how her team has had a tough time hiding ingredients of the hazelnut crunch cake in her kitchen, for she could just not prevent herself from nibbling on the go! Her training is rooted in French style of pastry making but does she enjoy an occasional bite of Indian Mithais too? 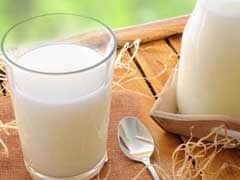 "Yes I like Indian Mithais. I really love Bengali desserts especially the ones with nolen gur. 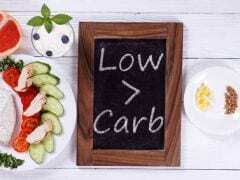 And what is her take on 'healthy desserts', can health and taste go hand in hand? "Yes of course there can be a healthy, tasty dessert. We are planning to start a line of tasty desserts that are made with a bunch of healthy ingredients. The only thing is that you must know what do you want of your dessert, do you want it to be ketogenic, vegan, gluten free or low cal. You can select your ingredients accordingly." 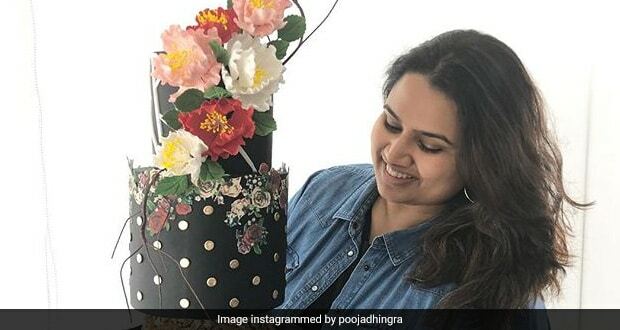 With the wedding season around the corner, Pooja also gave us an insight into the wedding cake trends that are expected to make to rule this time. She is glad that people are slowly breaking away from the conventional big fat white cakes. "People are willing to try new cakes, they are so many opting for rustic and naked cakes." In terms of flavours and embellishments too, wedding cakes are being treated in many new exciting ways, she revealed. 1. "Get a weighing scale and weigh your ingredients'', warns the ace pastry chef. Unlike your savoury goods, you have to be very mindful of the quantity of ingredients. 2. Use good quality ingredients, right from chocolate, butter, flour. 3. Be patient with your batter, make sure you mix your butter well with your sugar and flour and not rush through it. 4. Always sift your dry ingredients, this allows your flour gets some air that makes the cake rise better. 5. Make sure you store all ingredients well and in right temperature.